Nunnery is sealed off by Chinese military following the immolation of an 18-year-old nun in China’s Sichuan province. An 18-year-old Tibetan nun has set herself on fire in western China in the latest protest against Beijing's handling of the Tibetan regions it rules, an activist group said. 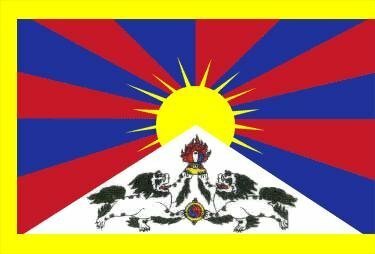 Free Tibet said in a statement that the nun had set herself on fire on Saturday [11 February 2012] and was believed to have survived. The young woman, identified as Tenzin Choezin, was a nun at the Mamae nunnery in Sichuan province's Aba prefecture, the statement said. It said Choezin shouted slogans of protest against the Chinese government before setting herself on fire at a junction close to the nunnery. "Soldiers and police came immediately and took her away," the statement said. "Soldiers then surrounded the nunnery and sealed it off." As many as 18 monks, nuns and ordinary Tibetans have set themselves on fire over the past year, and Free Tibet says at least 12 have died from their injuries. A statement by two Tibetan monks exiled in India, Losang Yeshe and Kanyag Tsering, distributed by the International Campaign for Tibet, said Choezin was the eldest of four children and a good student. The Mamae nunnery has a history of showing fierce loyalty to the Dalai Lama. In October, a 20-year-old nun from the same nunnery died after setting herself on fire and a group of nuns at Mamae staged a protest march in 2008, carrying a portrait of the Dalai Lama, which led to mass detentions and prison terms for some of the nuns, the ICT statement said.